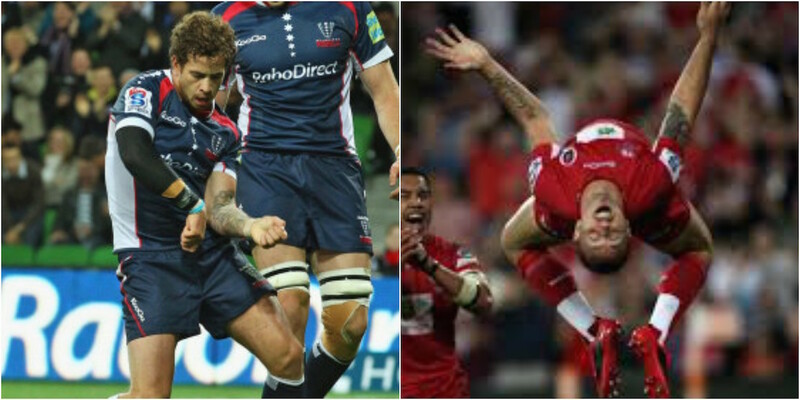 From the sublime to the ridiculous – here we take a look at some of the try celebrations that shocked us all. Cipriani’s time at the Rebels was a bit of a mixed bag, but this was one of his highlights. A great try finished with some very interesting dance moves. Do you remember Gangnam Style? If not, it was South Korea’s 2012 equivalent of Bucks Fizz. The Stormers’ Juan De Jongh loved it so much he decided to use it as a try celebration. We think Psy would be pretty proud of this effort.